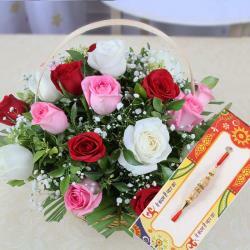 Product Consists: Bouquet of 25 Mix Roses in a matching wrapping with ribbon bow tied along with Designer Rakhi. 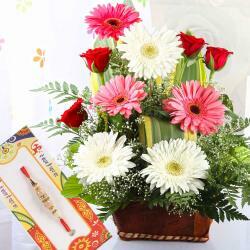 Celebrate this Rakshabandhan festival with Giftacrossindia Rakhi Products. We present this rakhi to lead the grace on the arm of your dearest brother with all affection and love. Rakhi thread unites the countless emotions like promise, protection and love between a brother and sister from long time. 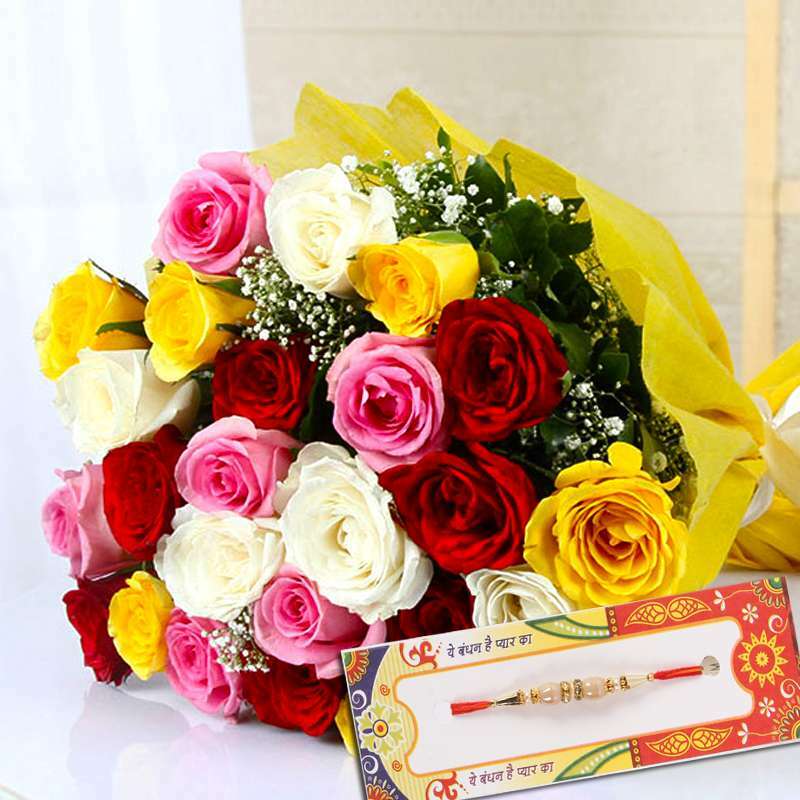 Gift your brother a lovely and memorable rakhi gift in this year. 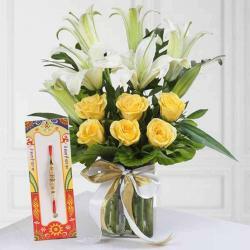 Hurry up order now and send wishes for your adorable brothers on Raksha Bandhan with this delightful rakhi combo. 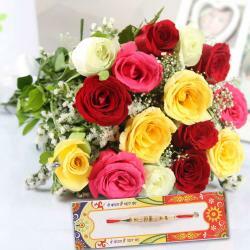 Product Includes: Bouquet of 25 Mix Roses in a matching wrapping with ribbon bow tied along with Designer Rakhi.